Miami Lakes, FL – November 29, 2018 – It’s time to play that funky music! 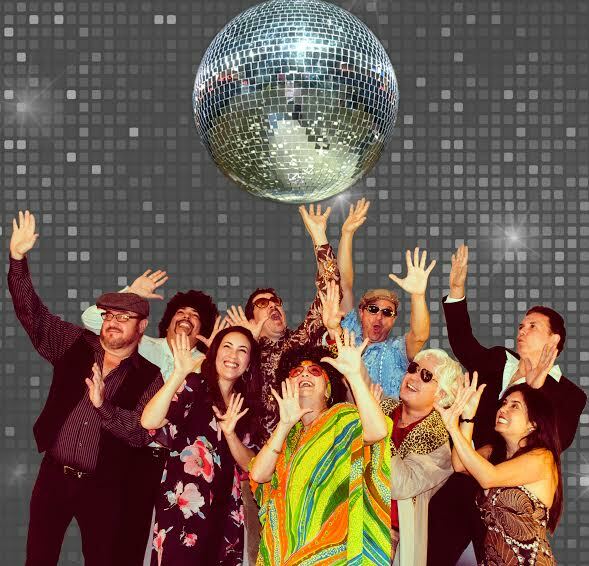 The Town of Miami Lakes and its Cultural Affairs Committee presents Disco Concert featuring disco cover band, The Playlist. The Playlist was founded by lead vocalist Mireya Valdes–Medina and husband Tony Medina (guitar / lead vocals). It also features drummer Monchy Coruguedo, and bassist / vocalist Michael Mut, who currently play in a separate musical project along with Tony. Additional musicians include: Rene Martinez and Rey Diaz, percussion, Lizzie Valdes and Alex Diaz (vocals), keyboardist Betzy Consuegra, and Robert Smiley (sax / flute). 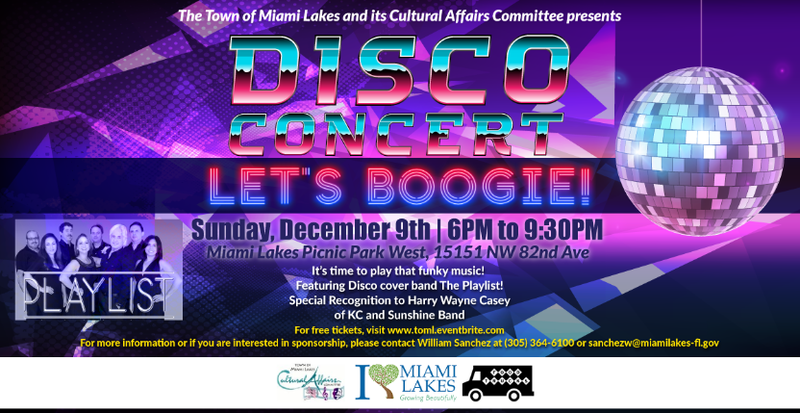 You will not want to miss a special recognition given to Harry Wayne Casey (“KC”) from KC and the Sunshine Band! KC will be receiving a proclamation from Mayor Manny Cid and fellow councilmembers. This “Get Down” event will also include food trucks and other refreshments for concert-goers! This entry was posted in Blog and tagged disco, miami lakes, playlist. Bookmark the permalink.